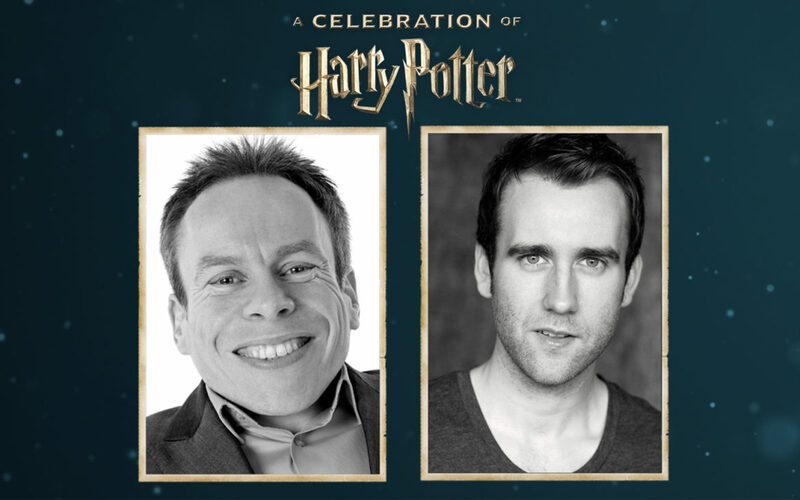 I am thrilled to announce that – for the first time in A Celebration of Harry Potter history – Warwick Davis (Professor Flitwick and Griphook) will be attending the event alongside returning film talent Matthew Lewis (Neville Longbottom). And, this is just the first Harry Potter film talent to be announced – more will be announced soon! MinaLima: Graphic designers Miraphora Mina and Eduardo Lima recently finished production on the new feature film Fantastic Beasts and Where to Find Them. Warner Bros. Studio Tour London – The Making of Harry Potter: Fans will relive the magic through the eyes of the filmmakers who brought the Harry Potter film series to life. Harry Potter: The Exhibition: Are you a Gryffindor or a Slytherin? A Hufflepuff or perhaps a Ravenclaw? Find out at this experience. Scholastic: Celebrate Harry Potter at Scholastic’s booth by signing the “Muggle Wall” and testing your knowledge of the Harry Potter books at the Trivia Challenge. Fans will also be treated to a meet & greet and signing with Mary GrandPré, famed illustrator for the Harry Potter books. Pottermore: If you’re eager to discover more about J.K. Rowling’s Wizarding World, Pottermore has a surprise in store for fans attending this year’s celebration. Audible: Bringing fans Audible Recall – the ultimate audio challenge that decides who knows the wizarding world inside-out and who has a bad case of the wrackspurts. Harry Potter and the Cursed Child: Get a glimpse into the world of Harry Potter and the Cursed Child and see images from the award-winning West End production. Google Daydream VR Experience – Fantastic Beasts and Where to Find Them:With Daydream View, Google’s newly launched virtual reality headset, you can experience the magic of Fantastic Beasts and Where to Find Them in VR. Wave a wand (via a Daydream controller) to solve puzzles and meet a few of the beasts in Newt’s case. Warner Bros. Interactive Entertainment: A magical adventure awaits in the LEGO Dimensions experience, where you’ll be able to explore the Wizarding World and be the first to play as Hermione Granger! Guests will also be given the opportunity to participate in special giveaways and contests. Behind the Scenes: Harry Potter Film Talent Discussion: Want to know what it was like on the set of the Harry Potter films? Now is your chance to find out. Warner Bros. Studio Tour London – Creating Creatures for the Harry Potter Films with Nick Dudman and Warwick Davis: This panel is a discussion with award-winning special make-up effects artist Nick Dudman and Harry Potter film talent Warwick Davis about the incredible skill that went into producing iconic creatures such as Aragog, Buckbeak and the Gringotts Goblins, plus see some authentic models from the Harry Potter film series. Learn Wand Combat Skills with Paul Harris: Expelliarmus! Learn how to duel in this interactive panel with the world’s only Wand Combat Chorographer, Paul Harris. Stories from Harry Potter: The Exhibition: The Exhibition has the unique privilege of bringing a selection of some of the best known authentic props used to create the entire film series to fans in cities close to home. Each and every real element on display within the exhibition has a story. Eddie Newquist, creator of the exhibition, will be joined by Pierre Bohanna, head prop-maker from the films to tell stories of how these props and costumes were selected for the exhibition and about their histories. MinaLima: Miraphora Mina and Eduardo Lima of MinaLima will share how their paths crossed at the WB film studios in London while working for 10 years on the Harry Potter movies, and more recently on Fantastic Beasts and Where to Find Them. They will show some of the iconic props they created, such as The Marauder’s Map, the Daily Prophet , The New York Ghost, MACUSA Wand Permit and more. Additionally, they will talk about their involvement in The Wizarding World of Harry Potter – Diagon Alley. Also coming to this year’s event is Harry Potter trivia and a Fan Art Walk where you can contribute your artist skills to a chalk art gallery that will be on display throughout the entire event. Grab your tickets now and join us at the fourth annual A Celebration of Harry Potter from January 27 to 29, 2017.